In 1992, the Honda CBR900RR FireBlade changed the sportbike game forever. Promising unparalleled levels of lightness, agile steering and plenty of poke, it was the must have bike of the time. Over a quarter of a century later, we've revisited the original bike to see how it fares now. 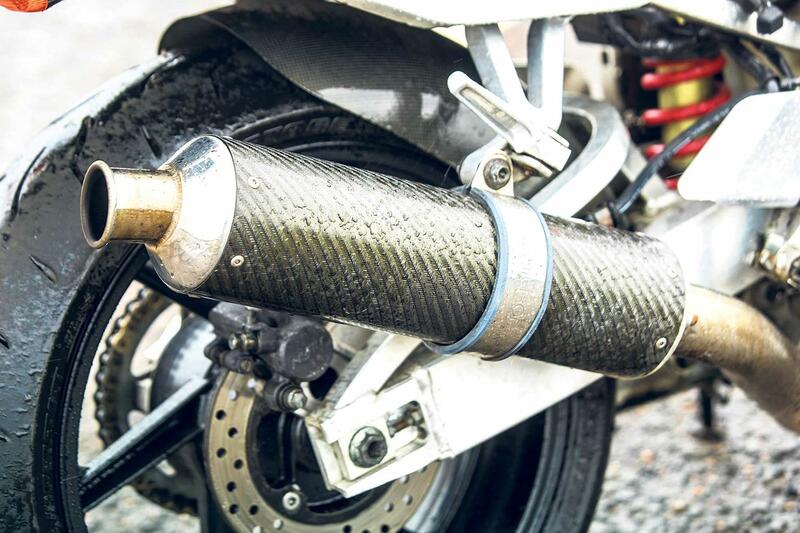 'This is without doubt a knife-edge sportsbike with 122 horse power being put to full use, not wasted dragging vast lumps of unwanted weight around.' Chris Dabbs, MCN 1992. But what's it like now? 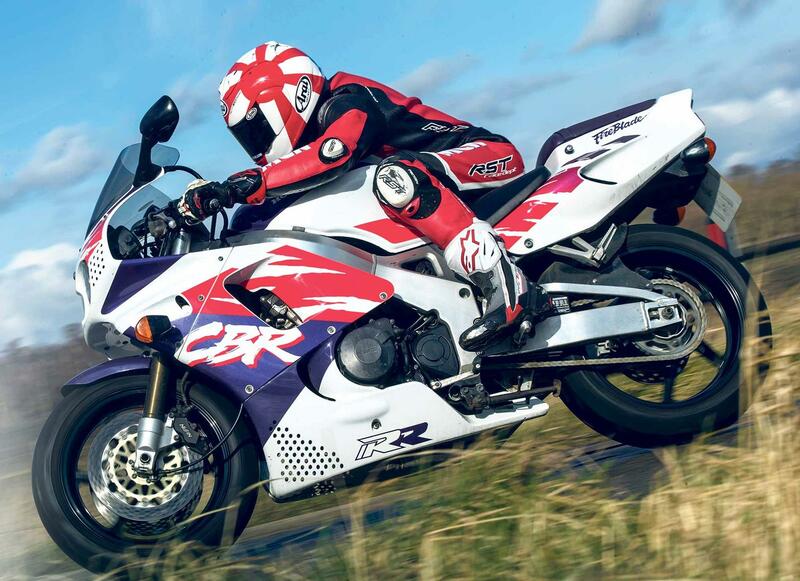 The FireBlade defines the modern sportsbike era, and these original models have become increasingly desirable in recent years. Class-leading lightness was the Blade's original mission statement and Honda achieved this by making it as spartan as possible. Both visually and mechanically, there's very little that doesn't earn its keep. This philosophy helped the CBR900RR come in at around 185kg when the Suzuki GSX-R1100 and EXUP, tipped the scales at 231kg and 209kg, respectively. Even today, these early FireBlades still feel very light and although the weight distribution feels slightly top heavy compared to a modern bike, the Blade displays exceptional flickability. Despite this, there are so many throwbacks to remind you that this is a quarter-of-a-century-old model. The choke knob, for example – they looked daft back in the day – like something you'd see in your granny's car. While it warms up, I check the tyres and am reminded again that this is a machine from the early 90s. The 16in front wheel was really popular with manufactures at the time, with the idea being that it gave sharp steering. This theory was correct but there tended to be a trade-off with poor stability on some models. That said, this FireBlade felt very stable – something helped by its modern tyres. Although the 130/70x16 Bridgestone Battlax BT-016s are not cutting-edge, they are miles better than what was available when the Blade was new. Although stability is fine, the ride was a little bit choppy over bumpy Cambridgeshire back roads and it was only when opening out on to smoother flowing roads that I was able to increase the pace. 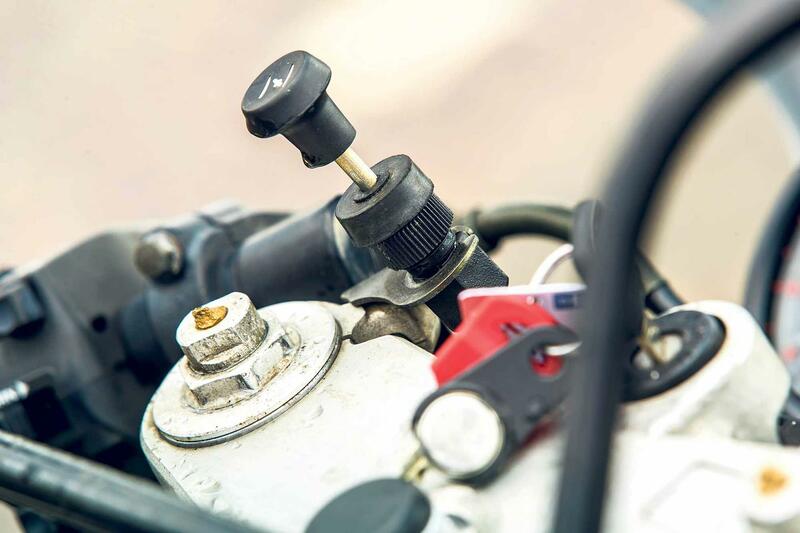 Opening the throttle on carbed bikes like the original Blade rewards with an immediate and linear connection. This bike, registered in 1994, was probably one of the last original 'round eye' models to make it on to an 'L' prefix number plate and shows signs of some honest ageing. That said, there's nothing that amounts to distress, and it can certainly be rejuvenated. 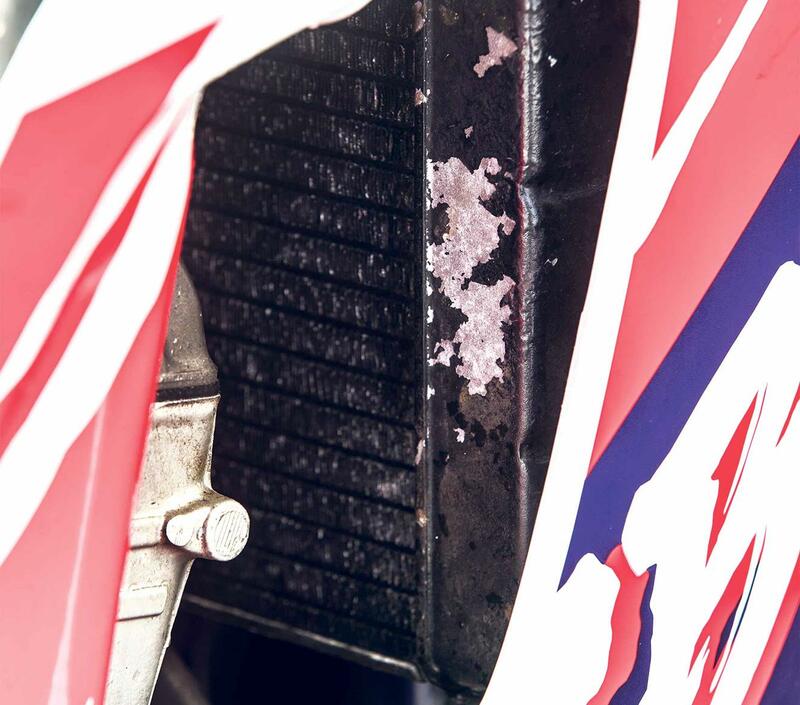 Some areas of the chassis have lost that immaculate brushed satin showroom finish, along with some of the ancillaries, footrest hangers and swingarm. Some of the plastic parts, switchgear and fairing inners have aged, too with 24-years-worth of the sun's UV rays. But, let's face it, Honda made this original Blade with so little in the way of superficial trim that there's not much to worry about. 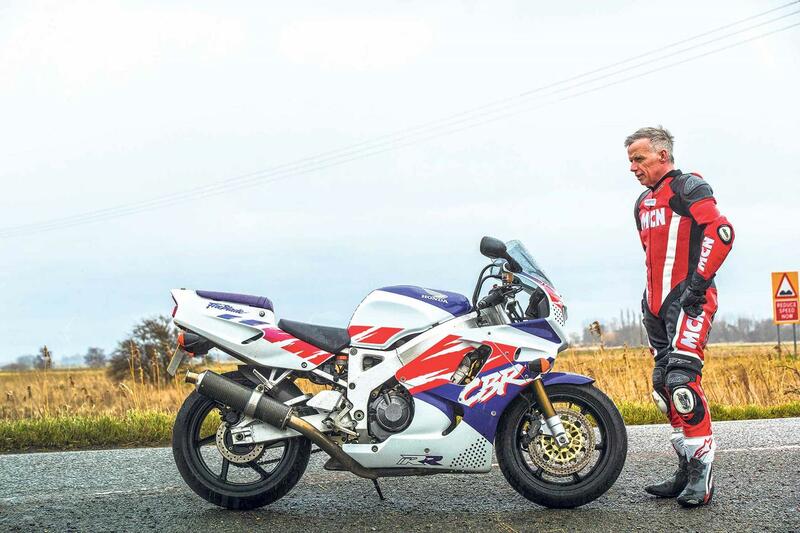 A quick blast on the original Blade only serves to confirm its place in the sportsbike hall of fame. Even today, they still perform brilliantly and you'd be hard-pushed to tire of the experience. Our 1994 example is an unrestored bike that has had a fair bit of use, but still remains in good condition. Bikes like this can still be bought for a reasonable price, somewhere around £3000, but you can easily expect to pay far more for lower mileages. One thing's for sure, prices for these early Blades will only increase, so buy right and you'll not only have your own very satisfying piece of history, but you'll also have a little bit of an investment on your hands. With thanks to Stevelin Motorcycles of Ramsey, Cambridgeshire (01487 711513). "It's been a while since I had one of these in the workshop, but every time we do they draw a lot of attention from all the other technicians, especially if they are in good order. I really like them, and they’re a bit like a fine wine in the way that the older they get the better they are. "Everyone seems to have had one, or if they didn't then they always wanted one, so there is a lot of interest for them from guys who were in their early 20s when the Blade was new but couldn't afford one at the time, but now they're older they can. "In general, they're tough old girls, and only need general wear and tear issues looking at. As they have carburettors and also may not be used so regularly, they need to be started and run as often as possible, because sitting in the garage causes the petrol to gum up inside the carbs and block jets. This can also create sticky float valves, which in turn causes fuel leaks, so if you do have one put some fuel stabiliser in her to prevent this. "One major thing to look for is gearbox trouble. 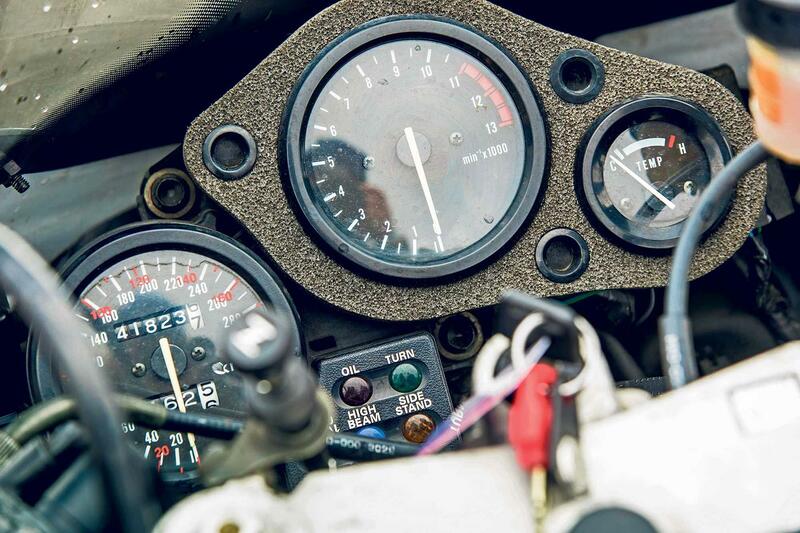 Second gear is notorious for jumping out and causing a false neutral, so if you can take a test ride make sure the bike you're looking at can accelerate hard in second gear without this happening. "At this time Honda had some common problems with the charging system and the regulator rectifier was a frequent failure. Camchain tensioners can also cause a rattle and you can hear it when the bike is on its stand and blip the throttle on the overrun. Expect to pay around £200 to sort it out with new bits. 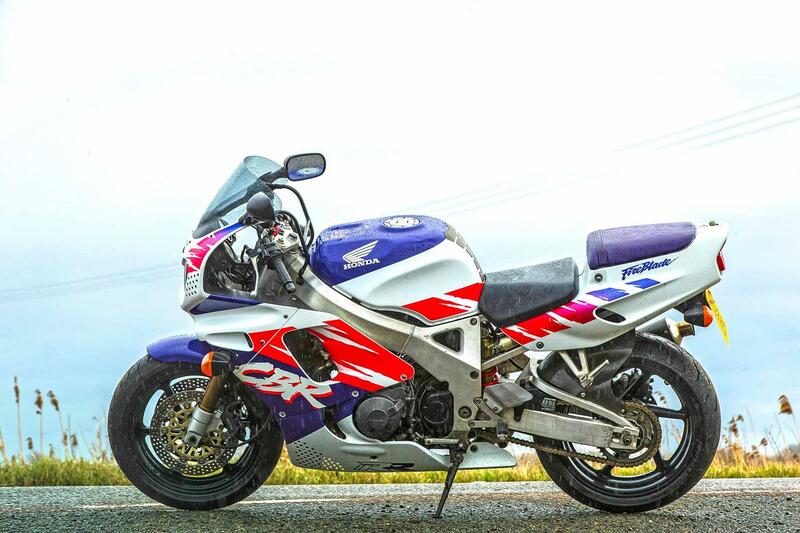 "In the main though, these early FireBlades were reliable and great fun, and if you can get them in original stock trim, they will only go up in value. Not only that, but they'll take you right back to the heyday of the early 90s or get you the bike you always wanted back in the day." Datalogger, professionally testing bikes for over 25 years.